From all the ‘outside the show’ street style snaps from the latest menswear collections shows, this woman’s style has caught my attention and admiration. Through scouring of the internet, I believe this stylish, impeccably dressed lady is Stephanie Zhuge, from Elle China. 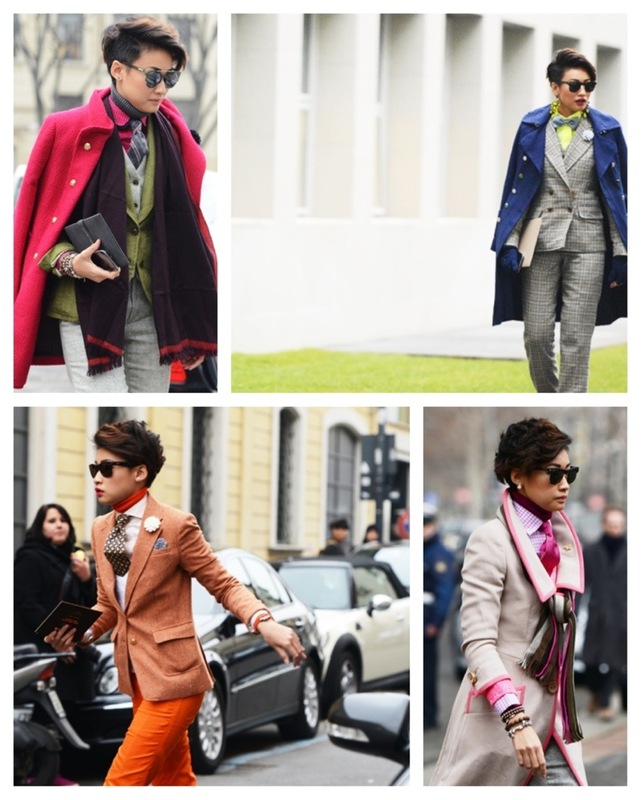 The layering, the menswear-style tailoring, with bold bright colours and cool feminine accents– it comes together awesomely. Inspired! 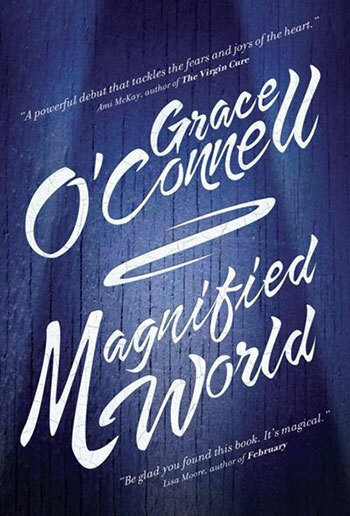 I read the debut novel of Toronto-based author, Grace O’Connell, Magnified World, over the holidays. It is wonderfully written, and a compelling read, even if it does leave you with some large questions that will nag long after you have finished (consider yourself warned!). I look forward to what is next from the author. The most wonderful part of the book is how intimately it is set in my neighbourhood of (West) Queen West— from the park, to the shops, and specific streets. It set the scene to connect with the story even more. And unlike some movies that are set in Toronto (I may be looking at you ‘Take This Waltz‘…) it maintains the geographic integrity of the city, as the characters travel through it. That kind of stuff can be important! Hurrah! Month One (ie. January) of 2013 has almost come to an end. Maybe commitment to this year’s resolutions is waning, or all the hope of a new year and fresh start is falling away. It’s nice to have a little pick-you-up to help remind: keep on keeping on! There are still eleven more months to do/be all you wanted to. These canvas banners from Toronto’s Have & Hold Design might be just what is needed! Click images for link to Etsy shop. Awesome shots by The Sartorialist shattering the conventional way in which a short jacket can be worn with a long cardigan: short over long! Works for me. Monday Jam: Clever and fun song courtesy of Italy-based DJ from Mars. 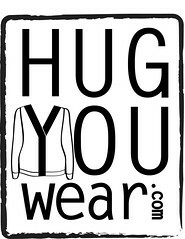 Follow Hug You Wear on Soundcloud! I’ve stumbled upon possibly one of the best ways two of my most favourite things have been brought together: music and cardigans. ♥. 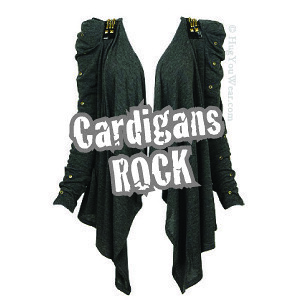 It takes the form of ‘Music to Button a Cardigan By‘ posts from the The Tweed Pig, a blog devoted to British classics and hidden gems. If you don’t know what is meant by that description of category, then you just have to take a listen– you’ll get it! For your listening pleasure, are some of the songs chosen by The Tweed Pig as ‘Music to Button a Cardigan By’. However, the commentary on the blog about each song selection really is the best part. Might we suggest the following as an addition to the list: Ms by alt-J?